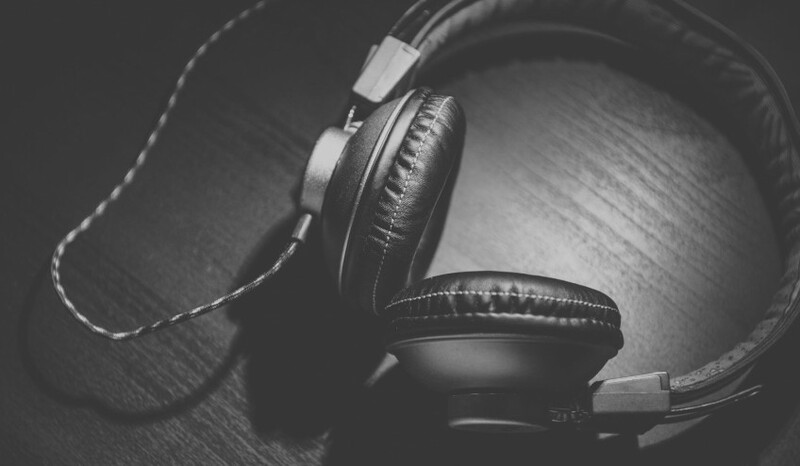 One of my favourite features of the new Ignite Network website is the podcast. It’s a great way to catch up on talks you’ve missed or just want to hear again. What’s make it even better is with all our modern internet connected devices, listening is easier than ever! Simply put a podcast is an episodic series of (usually) audio you can subscribe to that is streamed or downloaded over the internet. It’s like your favourite radio show that you can listen to any time you want! If you’re wondering about the name, the “pod” bit comes from iPod, the device which popularised the medium, and “cast” which comes from “broadcast”. Podcasts appear on this website just like regular blog posts, except they usually have an audio player embedded in the content, just like this one. You can listen to the audio in any modern web browser, even the one on your smart phone or tablet. This is all well and good but in this day and age it would be a bit tedious to have to keep checking the website for new episodes. The good news is, there is a better way, you can subscribe to the podcast. Subscribing to a podcast usually means to use some sort of app that tells you when a new episode is available. Apps like this usually allow you listen to the podcast too, which means you don’t have to go to the website. Many will download the episodes for you so you can listen even if you’re not connected to the internet. Isn’t that handy! My favourite way to subscribe and listen to podcasts is using my iPhone. All modern smart phones have apps for doing this, they either come pre-installed or you can download them. If you have an iPhone you can start right away using the podcasts app, it comes pre-installed. Subscribe to our podcast on your iPhone. On your iPhone, just go to Safari and find a podcast on this site and tap the link under the player that says “RSS”. This will take you to the Podcasts app and prompt you to subscribe. Now you’ll see the Ignite Network podcast listed under the My Podcasts section, tap on it to pick and episode to play. Unfortunately this handy RSS link doesn’t work in Chrome. 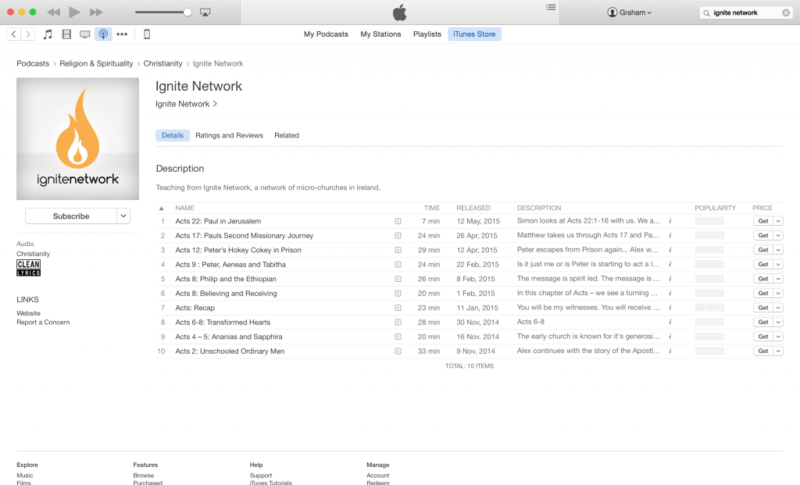 As an alternative I’d recommend just going straight to the Podcasts app and searching for “Ignite Network”. Android devices don’t come with a podcast app installed but there are plenty of options on the app store. Two you could try out are Player FM (free) or the highly recommended Pocket Casts (€2.99). The subscribe process isn’t quite the same. One of the Subscribe links under our podcasts says “Android”, this offers a one-click subscribe action but only works with some Android podcast apps. For the others you can just select the “RSS” link and copy and paste it into your podcast app. Alternatively just use the search feature in your podcast app and search for “Ignite Network”. You can also subscribe to podcasts on your computer using iTunes. While on your computer either click the “iTunes” subscribe link under and episode or go to the iTunes Store and search for “Ignite Network”. That’s it for this guide, I hope it has been useful and you enjoy listening to our podcast. If you have any questions just post them in the comments below.